At RZCD we are fortunate enough to have some of Ontario’s most competent, skilled and successful lawyers working for and with us. A list of our partners, associates and counsel is below. To find out more about each lawyer and which areas they practise in, as well as their contact details, please click through to their individual biography. Bonnie attended the University of Western Ontario for her undergraduate studies and graduated from law school at Western in 1986. In 1988 Bonnie was called to the bar and commenced her real estate practice in Mississauga. She has contributed to the education of young lawyers through the real estate section at the Bar Association Course in Toronto and has conducted seminars for new real estate agents and first time home buyers. Need help or advice? Contact Bonnie directly at bfranklin@rzcdlaw.com or send RZCD a message. Bruce graduated from Osgoode Hall Law School in 1996. Prior to law school, he studied Business Administration, English Literature and Mathematics. Bruce garnered 15 years of entrepreneurial and multi-national corporate experience prior to joining RZCD’s Mississauga Office in 1994 and becoming partner in 1998. 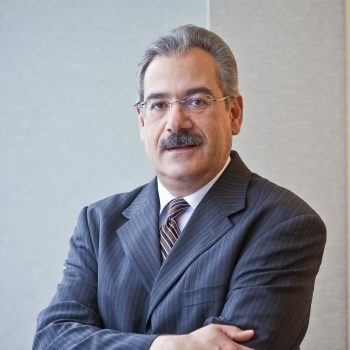 He has represented clients before all levels of Ontario Courts, as well as many professional and administrative tribunals in addition to mediations, arbitrations and alternative dispute resolution processes. Need help or advice? Contact Bruce directly at brobertson@rzcdlaw.com or send RZCD a message. Craig graduated from the University of Toronto with a B.A. (Honours) in 1988 and from Queen's University with his LL.B. in 1991. 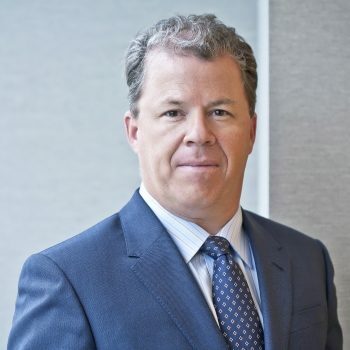 Prior to joining RZCD Craig was a principal partner in his own litigation boutique firm in Toronto for 12 years after starting his legal career on Bay Street. Craig has been a frequent speaker at seminars concerning employment advocacy matters and has litigated successfully at all levels of Court in the province. 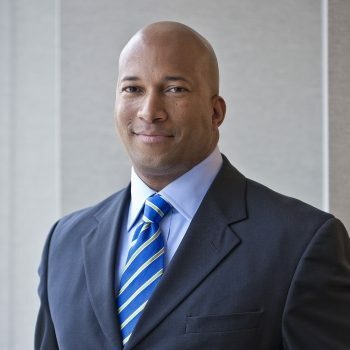 In 2011, Craig was the recipient of the Traditional Law Practice Award from the Canadian Association of Black Lawyers. He is also a trained mediator. Craig is a member of the Canadian Bar Association - Ontario, the Toronto Lawyers Association, The Advocates' Society, the Canadian Association of Black Lawyers (CABL), the ADR Institute of Canada, Christian Legal Fellowship and Markland Wood Golf Club. Labour and Employment Law: advice and counsel regarding the preparation of employment contracts, termination packages and wrongful dismissal claims. Creation, management and termination of the employment relationship. The disability management area - which addresses both the workplace and the employee. Commercial Litigation: from collections to shareholder disputes for large national corporations and smaller closely-held corporations. Family Law: separation agreements, divorce, property division and custody disputes. Need help or advice? Contact Craig directly at clewis@rzcdlaw.com or send RZCD a message. Dean holds a Bachelor of Science degree from the University of Toronto and graduated from The John Marshall Law School in Chicago. After practicing in Chicago for five years, Dean returned to Toronto and attended Osgoode Hall Law School. Dean has been licensed to practice law in Ontario, British Columbia, Alberta, Saskatchewan, Manitoba, Nova Scotia, Newfoundland, Labrador and Illinois. He was part of the management team at several title insurance companies and supervised mortgage processing operations, legal compliance, underwriting, title insurance and implementation and administration of remote signing networks. Sponsored by several of the major banks, Dean has given dozens of first time home buyer seminars and was a featured speaker at the Independent Mortgage Brokers Association convention. He is a recipient of the Top Law Partner Certificate of Excellence for 2011 -2013 as awarded by First Canadian Title. Residential Real Estate and Mortgage Financing. Need help or advice? Contact Dean directly at dglinos@rzcdlaw.com or send RZCD a message. Shawn attended the University of Western Ontario, and graduated with a degree in Finance and Administration in 2001. He earned his LL.B. from the University of Ottawa and his J.D. from the Michigan State University College of Law in 2005. Shawn has been with RZCD since 2006 and became a partner in 2014. His clients range from high net worth individuals, entrepreneurs, corporations and financial institutions to families purchasing their very first home. Shawn comes from an entrepreneurial family and understands firsthand the needs of entrepreneurs. His practice covers all aspects of real estate transactions from first time home buyers, real estate developers, acquisition and disposition of commercial real estate, to refinancing of residential and commercial properties. Business/Corporate and Commercial Law: the sales and acquisitions of businesses, corporate restructuring and refinancing, shareholders’ agreement and all issues pertaining to daily corporate management. Real Estate Law: real property transactions, bank refinancing, land development, commercial and residential real estate purchases and sales, power of sale transactions. Need help or advice? Contact Shawn directly at sdandiwal@rzcdlaw.com or send RZCD a message. Eric attended the University of Windsor and received his B. Comm. in 1981 and M.B.A. in 1986. Eric continued his education at the University of Ottawa and graduated with his LL.B. in 1985. The Law Society of Upper Canada; Association des Juristes D’Expression Française de l’Ontario. Commercial and Residential Real Estate Law: including syndicated and residential real estate, with a primary focus on industrial, commercial and investment real estate and commercial/industrial leasing. Need help or advice? Contact Eric directly at edionne@rzcdlaw.com or send RZCD a message. Ernie attended the University of Western Ontario and received his B.A. in 1984. He continued his education at the University of Ottawa and obtained his LL.B. in 1987. 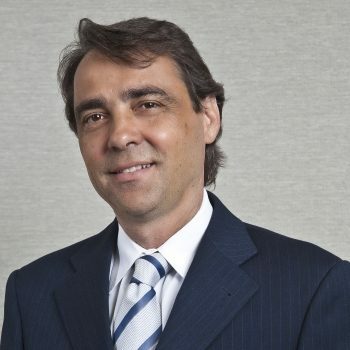 Ernie heads our Labour and Employment Law Group and has been a partner with the firm since 1994. Ernie has represented clients before the administrative tribunals involved with many sub-areas of Labour and Employment Law. He has acted as counsel on numerous occasions before all levels of the court in Ontario including the Ontario Court of Appeal and the Supreme Court of Canada. Ernie has also acted as counsel for several professional athletes, sports franchise owners and professional player associations. He is also the past President of the Toronto Roadrunners Hockey Club of the American Hockey League. Ernie is a member of the Sports Lawyers’ Association, County of York Law Association, Canadian Bar Association and the Markland Wood Country Club. Labour and Employment Law: collective bargaining, employee benefit plan reviews, grievance arbitration, interest arbitration, Ontario labour relations board applications and complaints, human rights commission hearings, occupational health and safety complaints, worker’s compensation board complaints, employment standards branch complaints, pay equity complaints, preparation and negotiation of employment contracts, wrongful dismissal litigation, staff evaluations, performance reviews, staff terminations and judicial review applications. Need help or advice? Contact Ernie directly at ecoetzee@rzcdlaw.com or send RZCD a message. Need help or advice? Contact Frank directly at fracioppo@rzcdlaw.com or send RZCD a message. Jim attended the University of Toronto as a scholarship student and studied Political Science and History for two years. He advanced to Osgoode Hall Law School and graduated with his LL.B. in 1988. 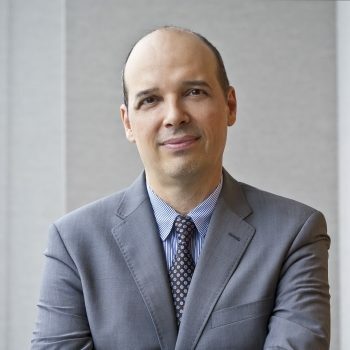 Jim also received his Masters of Law degree (LL.M) from Osgoode Hall Law School in 1999, specializing in Civil Litigation and Dispute Resolution. Jim is the Senior Litigation Partner at RZCD and heads up our Construction Litigation and Law Group. He has appeared at all levels of courts and tribunals in Ontario, representing chartered banks and institutions, private corporations and entrepreneurs, as well as athletes and sport franchise owners. Jim has extensive experience negotiating for suppliers in the construction industry. Jim is a member of the Law Society of Upper Canada, County of York Law Association, Peel Law Association, Construction Law Division of the CBAO, Canadian Bar Association, Sports Lawyers Association, and is Lead Counsel to the Ontario Lacrosse Hall of Fame and Museum. Commercial Litigation and Civil Litigation: construction liens and construction contracts, debtor/creditor and security enforcement and bankruptcy and insolvency. Need help or advice? Contact James directly at jsmith@rzcdlaw.com or send RZCD a message. 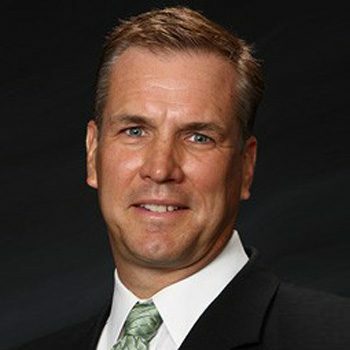 John Zuber is a founding partner of the law firm. The law firm was established in 1993. John’s practice extends throughout Central and Eastern Ontario and practices out of our Kingston Office, which he manages. 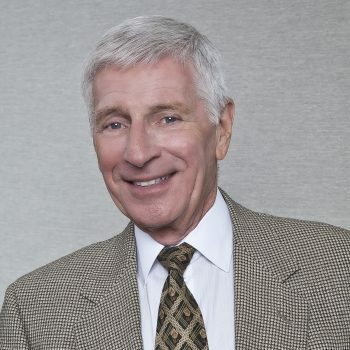 John Zuber’s area of practice include: Personal Injury Litigation, Insurance Litigation, Family Law, Corporate and Commercial Disputes, Estate Litigation, and Environmental Law. John Zuber received both his B.A. (85) and LLB. (88) from the University of Windsor. He was called to the Ontario Bar in 1990. He co-authored the text Canadian Law, 5th edition with his father, The Honourable Mr. Thomas Zuber, and brother, David Zuber. John Zuber also taught part time at Queen’s University, Faculty of Law. 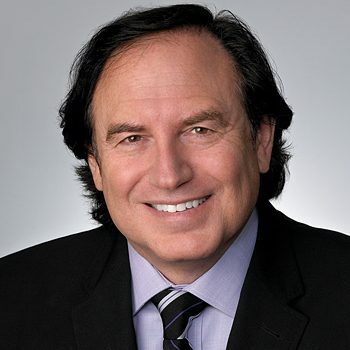 John has appeared as Counsel extensively before the Ontario Superior Court of Justice, and on numerous times before the Ontario Court of Appeal, the Ontario Divisional Court, and The Federal Court of Canada. As well, John has appeared before many Administrative Tribunals including the Financial Services Commission of Ontario and the Work Place Insurance Board. Need help or advice? Contact John directly at jzuber@rzcdlawyers.com or send RZCD a message. Lyle received his LL.B. from the University of Ottawa, and an MBA from York University. Lyle served on the Board of the Family Lawyers Association, and has spoken about family law issues to various groups. Family Law: divorce, custody, access, child support, spousal support, division of property, restraining orders, separation agreements, marriage contracts, and cohabitation agreements. Need help or advice? Contact Lyle directly at lbelkin@rzcdlaw.com or send RZCD a message. Need help or advice? Contact Peter directly at pcallahan@rzcdlaw.com or send RZCD a message. Satwinder graduated from St. Andrews College and Queen’s University, where he was a member of the Senate and Class President. He obtained his LL.B. from the University of Windsor in 1988 and subsequently articled at a boutique Toronto municipal law firm. Satwinder is a contributing writer to a textbook on Condominium Law and has published articles on human rights issues. 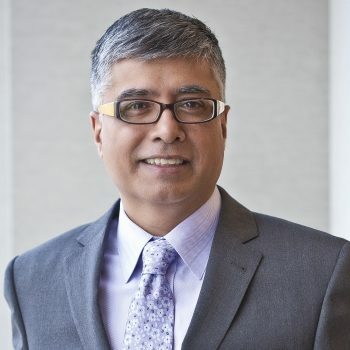 He is also active in provincial and federal politics and holds several directorships on boards of non-profit organizations in the Peel Region. He has served as a director on the Regional Municipality of Peel Police Services Board. Business/Corporate Commercial Law: the sale and acquisition of businesses, corporate restructuring and refinancing, franchising, shareholders’ agreements and all issues pertaining to daily corporate management. Real Estate and Development Law: real property transactions, bank refinancing, land development and condominium law, purchase and sale of hotels, and commercial leasing. Need help or advice? Contact Satwinder directly at sgosal@rzcdlaw.com or send RZCD a message. Geoff graduated with a Bachelor of Law from the University of Western Ontario in 1981. In April of 2016, Geoff earned the certification of CIC.C (Corporate In-House Counsel – Canada) after successfully completing the Business Leadership Program for In-House Counsel offered by the Canadian Corporate Counsel Association, the Canadian Bar Association and Rotman School of Management at the University of Toronto. Geoff was one of only three lawyers in his class (Cohort #3) who are currently in private practice, and believes that this training will be of great benefit to his corporate and credit union clients who are looking for external counsel with "in-house counsel attitude!" Geoff joined RZCD in January 2009 when he and Penny Rintoul moved their practices from Guiney Rintoul Cauchi LLP, a boutique firm that focused on providing legal services to banking and financial institutions and, in particular, all the levels of the Canadian Credit Union system, under the name Tanner & Guiney Associates. He and Penny Rintoul now head up the Financial Institution Services Group at RZCD. Before joining Tanner & Guiney Associates in 2000 Geoff was Corporate Counsel and Secretary to Niagara Credit Union Limited (now Meridian Credit Union Limited) from 1986 to 2000. Geoff has been an active participant on Credit Union industry committees. 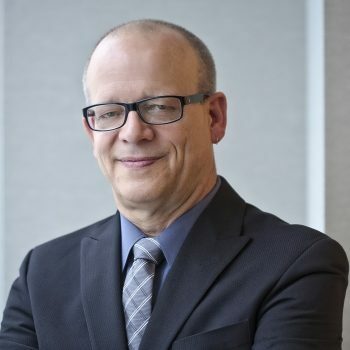 He served on the Industry Advisory Committee for the Deposit Insurance Corporation of Ontario, particularly in the development of the Member Institution Self-Assessment Report from 1996 to 1997, and the DICO recommended Board Policies. Geoff also served on the Ontario Credit Union Legislative Reform Committee for the Ministry of Financial Institutions, which produced its final report in 1993. He continued as consultant on the Legislation until passage of the Credit Unions and Caisses Populaires Act (1994). Geoff was also a presenter at Credit Union Central of Ontario’s New Legislation Training in May 1995. Geoff’s banking and financial institution clients benefit from his particular expertise in the area of credit union operations and administration, board and management governance, banking system contracts, outsourced services and other networking agreements, and compliance with privacy and anti-money laundering legislation. In 2000 and 2001, Geoff was a member of the Ad Hoc Advisory Committee for the Financial Services Compliance Administration Program at Seneca College. Geoff serves on the Boards of Directors of several charitable and non-profit organizations of local, provincial, and federal scope. He is a member of the Canadian Bar Association, the Peel Law Association, and the Christian Legal Fellowship. Legal Limits on Flat NSF Fees and Overdraft Charges: published in National Banking Law Review (LexisNexis Canada Inc., Robert E. Elliot, Editor), December 2004. The Protection of the Reliance Interest and Anticipated Contracts Which Fail to Materialize: (1981), 18 U.W.O. L. Review; cited in Trevor A. Mills, Letters of Intent and the Canadian Approach to Good Faith Bargaining Obligations: So Close So Far (1996), 11 B.F.L.R. 397; and in Duxbury v. Training Inc., 2002 ABPC 24 (CanLII). Need help or advice? Contact Geoffrey directly at gcauchi@rzcdlaw.com or send RZCD a message. Harry graduated from Bond University in Australia, earning his LL.B. and received a specialization in Canadian Law and Legal Systems. In 2013, he was called to the Supreme Court of Victoria, Australia. While completing his Law Degree he interned with the Director of Public Prosecutions in Gold Coast, Australia. After his call to the Supreme Court of Victoria he practised as solicitor at a mid-tier law firm in Melbourne in the areas of Corporate Commercial Law and Real Estate Law. 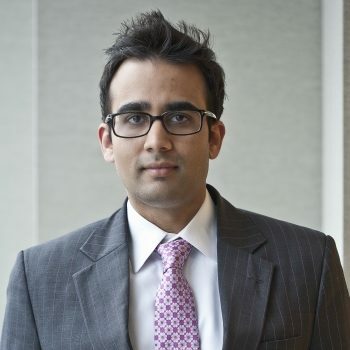 Upon returning to Canada in Fall of 2014 he completed his Articles of Clerkship at a boutique firm located in Mississauga in the areas of Corporate Law, Real Estate Law and Civil litigation. Harry is engaged in all aspects of Real Estate transactions including, commercial and residential purchases and sales, refinancing, and private lending. In addition he practises in Corporate/Commercial Law, comprised of the sales and acquisition of businesses, leasing, corporate restructuring and refinancing, shareholders’ agreements and all matters pertaining to daily corporate management. Harry is an avid car enthusiast and in addition to spending time at the race track, volunteers with the Porsche Club of America. He also enjoys travelling and watching the Raptors play. Memberships and Affiliations: The Law Society of Upper Canada, the Ontario Bar Association, Law Institute of Victoria, Porsche Club of America. Need help or advice? Contact Harry directly at hbhandal@rzcdlaw.com or send RZCD a message. Indu earned LL. B (NCA Accreditation) from the Federation of Law Societies of Canada in 2007. Indu graduated with a Bachelor of Law from India in 1997. Indu also has a degree in Bachelor of Arts. Indu has international experience in Corporate/Commercial Law (Private Practice and In-House). Indu started her law practice in 2008 after being called to the bar in Ontario. She specializes in Corporate/Commercial Law, Real Estate (Residential and Commercial) and Wills and Estate. Indu is dedicated to providing quality services by focussing on her client’s success and business objectives and working with them diligently to ensure their best options are carried out. Keeping clients informed and up-to-date is always important to Indu. Indu is a member of Ontario Bar Association and Halton County Law Association, Milton Chamber of Commerce. She also serves on the Board of Directors of a Milton based non-profit organization - “Milton Spikes Track and Field Club”. Need help or advice? Contact Indu directly at imaniappan@rzcdlaw.com or send RZCD a message. 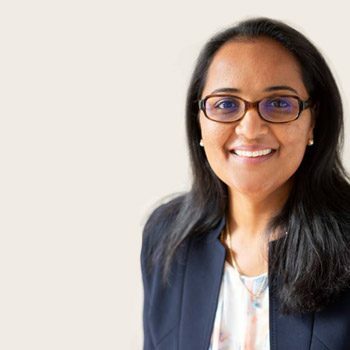 After obtaining her Honours Bachelor of Human Resource Management degree from York University, Jaimini went on to complete law school at the University of Leicester in England. While in Leicester, Jaimini took part in several law school competitions including mooting, client interviewing and negotiations. She was also involved in a pro bono initiative partnering law students with the university career center to provide legal aid to student entrepreneurs. Upon returning to Canada, Jaimini completed her Articles of Clerkship at RZCD Law Firm. 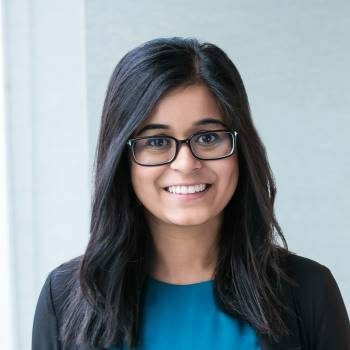 Jaimini has been with RZCD since 2016 and became an Associate in 2018. She is engaged in all aspects of Real Estate and Corporate/Commercial Law including, but not limited to, purchases and sales of commercial and residential properties, bank and private refinancing/mortgages, commercial leasing, condominium development and builder sales, acquisitions and sales of businesses, corporate restructuring and refinancing, shareholders’ agreement and all issues pertaining to daily corporate management. Jaimini fluently speaks and understands Gujarati and understands Hindi. 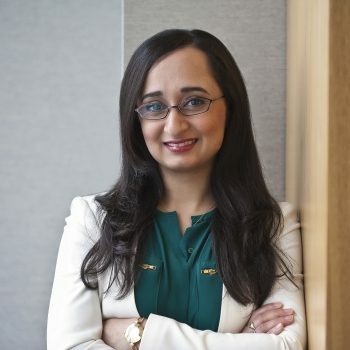 Jaimini is a member of the Law Society of Ontario. A seasoned corporate counsel and practitioner, Joel offers legal advice for the client who seeks responsive, professional legal services. 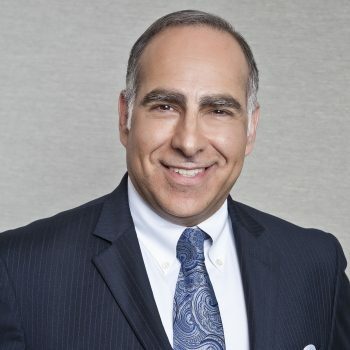 Joel has diverse experience and practices in the areas of residential real estate, mortgage financing, commercial real estate and leasing, corporate and commercial law including the purchase and sale of businesses, licensing and commercial agreements. Joel has an undergraduate degree from the University of Waterloo and obtained his LL.B. from the University of Windsor. Following his call to the Bar in 1988, he joined a major downtown law firm in Toronto. 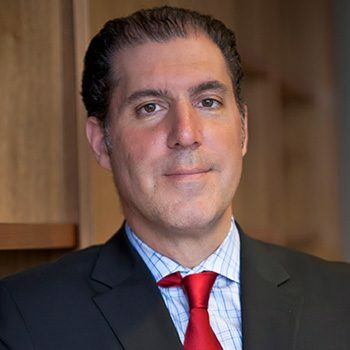 As corporate counsel, Joel was associated with companies ranging from financial services, title and business process outsourcing to restaurant, travel and tourism sectors. He has focussed in the areas of real property, financial services, leasing, commercial agreements, regulatory compliance and title insurance. Joel has played a significant role in managing real property portfolios, the implementation and management of centralized broker and lender programs, the delivery of seminars to prospective home buyers and real estate professionals, title insurance and claims management. Currently, Joel represents both business and individual clients offering a full range of legal services with a particular emphasis on offering the best in client service. Need help or advice? Contact Joel directly at jenchin@rzcdlaw.com or send RZCD a message. 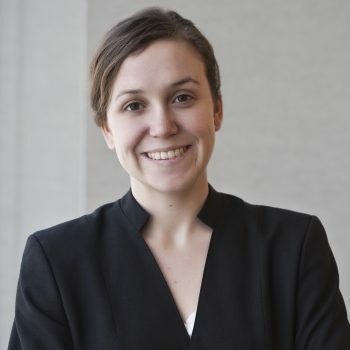 After obtaining her Honours Bachelor of Science degree from the University of Toronto in 2009, Krina attended law school at the University of Windsor, graduating in 2013. While at Windsor, Krina was actively involved in various pro bono initiatives including work with Mental Health Connections of Windsor, the Canadian Mental Health Association, and Windsor's Legal Aid Clinic. Additionally, Krina was involved in student government, acting as president for the South Asian Law Students Association. Prior to joining RZCD, Krina practiced civil litigation, specifically in the areas of personal injury law and municipal law. She has appeared before the Ontario Smalls Claims Court and the Ontario Superior Court of Justice. Krina is a member of the Law Society of Upper Canada, the Canadian Bar Association, and the South Asian Bar Association of Toronto. Krina is fluent in Gujarati and intermediate in Hindi. Lorne received his Bachelor of Arts from the University of Toronto in 1966 and continued his education at Queens University where he received his Bachelor of Law (LL.B.) in 1969. 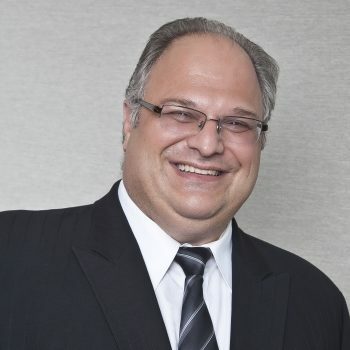 Lorne Barsky joined RZCD in February, 2001 bringing with him over 25 years of real estate experience gained from successfully completing thousands of transactions. Lorne has been involved in many aspects of commercial and residential real estate including, corporate relocations, residential real estate, commercial real estate, hotel acquisitions and condominium development registrations. Lorne was called to the Bar in 1971 and appointed Queens Counsel in 1982. Lorne has authored numerous articles on real estate and is a past editor of the real estate newsletter to the Ontario Real Estate Bar. Lorne is a frequent seminar speaker, and has written articles for the Canadian Bar Association. He is a past director of the Peel Law Association and York County Law Association and has instructed for the real estate section of the Law Society of Upper Canada’s Bar Admission Course. Need help or advice? Contact Lorne directly at lbarsky@rzcdlaw.com or send RZCD a message. After obtaining her Honours Bachelor of Arts degree in 2006 (double major in Mass Communication and French Language & Literature ), Naaila attended law school at the University of Windsor, graduating in 2009. Naaila balanced a full course load along with volunteer and paid legal work and active involvement in student government. 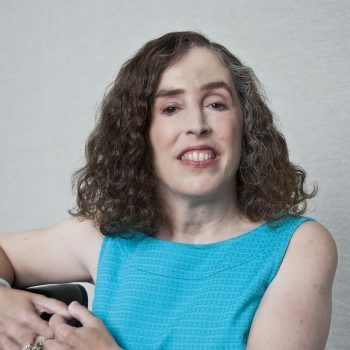 As a student, she was a supervisor at Community Legal Aid, the legal aid clinic affiliated with the University, for two years and successfully defended clients charged with criminal offences in the Ontario Court of Justice. Naaila’s clients appreciate her strong sense of justice and her no-nonsense approach. She runs a practice focussing on corporate disputes including officer, director and shareholder matters, contractual disputes, real estate litigation, power of sale proceedings and estates litigation. Her practice has caused her to appear before all levels of Court and many Tribunals in Ontario. Fluent in French, Naaila is a member of the Association des Juristes d’Expression Française de l’Ontario and a member of the Board of Directors of the Brescia University College Foundation. Need help or advice? Contact Naaila directly at nsangrar@rzcdlaw.com or send RZCD a message. Penny-Lynn M. Rintoul graduated from what is now known as Brescia University College at Western University in London, Ontario with a Bachelor of Arts in Administrative and Commercial Studies in 1987 and received her Bachelor of Laws and Master of Business Administration degrees from Western in 1991. Called to the Bar of Ontario in 1993, Penny worked with a limited-market securities dealer and a franchisor before moving to Credit Union Central of Ontario Limited in July 1995 as Legal Counsel, and practiced law, eventually as a partner, with the firm of Tanner and Guiney Associates until joining RZCD. 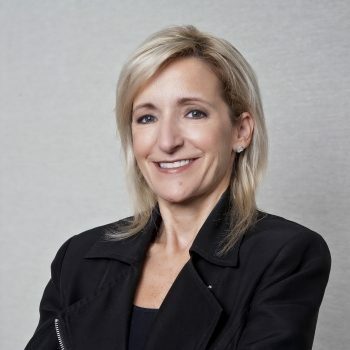 Penny focuses on providing advice on credit union share offerings, incorporations, and mergers and acquisitions, and also involves herself in regulatory issues affecting the Ontario credit union system. Penny also provides legal advice to credit unions on general corporate matters, provides training on legal issues for credit union front-line staff and management, and advises the Ontario Credit Union Charitable Foundation. She also provides general corporate law advice to other kinds of entities, and wills and estate planning services. She serves as Chair of the Board and a governance committee member of the Brescia University College Foundation, the registered Canadian charity supporting her alma mater, Brescia University College (the only all-female university-level women’s college in Canada), and as Chair of the Board of Families with Children from China Charitable Fund, a registered Canadian charity founded by adoptive parents of children from China which supports the medical and educational needs of the children remaining in the care of Chinese orphanages. Need help or advice? Contact Penny directly at pmrintoul@rzcdlaw.com or send RZCD a message. In 2007 Shana completed her undergraduate studies at Wilfrid Laurier University in Waterloo, Ontario, earning an Honours B.B.A. as well as a B.A. in Political Science (Minor History). She attended law school at the University of Western Ontario in London, Ontario, earning her J.D. in 2010. Shana is a civil and family law practitioner with RZCD. She assists clients in resolving civil litigation matters and family law disputes through negotiated settlements as well as via court processes when appropriate. Shana is currently accepting clients with Certificates from Legal Aid Ontario for civil and family law matters. Shana enjoys travelling and in addition to studying abroad in Auckland, New Zealand she lived in The Hague, Netherlands while interning for an international war crimes tribunal in 2009. She also worked in a small and fast paced family law firm before beginning her practice at RZCD. Shana has been admitted to the Bar of Ontario and is a member of the Law Society of Upper Canada, the Canadian Bar Association and the Peel Lawyers’ Association (Family Law Section). Family Law: procuring a divorce, child custody and access concerns, issues surrounding child support and spousal support claims, the division of assets upon dissolution of a marriage, property and asset claims of unmarried couples, and collateral issues arising as a consequence of a relationship breakdown. Advocacy in child protection and support enforcement (FRO) matters. Need help or advice? Contact Shana directly at smaiato@rzcdlaw.com or send RZCD a message. Usman fast tracked through high school, and received his Bachelor of Arts degree from the University of Toronto in 2000, studying Economics and Computer Science, graduating with honours (completing a 4 year degree in 3 years). 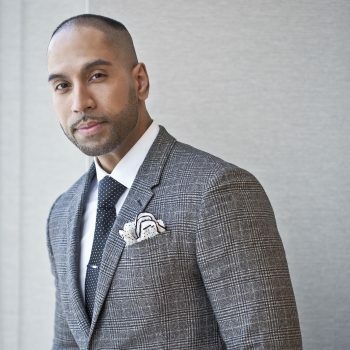 Usman continued his education at the Cleveland-Marshall College of Law, where he obtained a Juris Doctor in 2003 with a Concentration in Business Law and was the youngest student in his graduating class. Usman graduated as a Dean's Scholar and was on the Dean's List throughout law school. Usman is one of the few lawyers in our firm whose skills have allowed him to successfully practice in areas ranging from transactional work to litigation. Usman's advice and representation is sought by governments, companies and wealthy individuals with unusually challenging and complicated problems, as well as smaller companies and individuals looking for guidance on less complicated matters. Usman has built a reputation and is known for his skilful and creative representation, negotiating abilities and foresight – especially in respect of transactions and disputes with no obvious solution. Usman has been featured in the media for cases he has worked on and is also a regular speaker at seminars educating on various areas of the law. 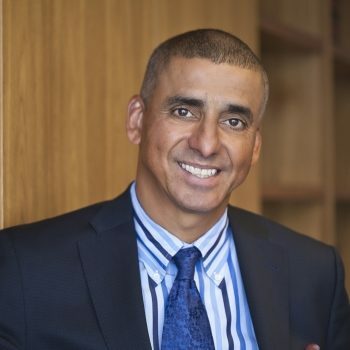 Additionally, Usman represents some of the largest real estate brokerages and is a regular speaker where he has educated realtors on all aspects of a real estate closing, tax implications, investment strategies and the fundamentals of the transaction. Usman brings a unique approach to his practice, where his litigation clients benefit with his knowledge and work in the areas of transactional work resulting from his understanding the intricacies of a transaction, but also his transactional clients benefit as a result of his first-hand understanding on how courts will interpret, view and enforce various transactions. To this end, Usman and his team provide full-service representation to his clients. Usman has successfully appeared at all levels of the Court, including the Tax Court of Canada and various Tribunals and Administrative Boards obtaining favourable results for his clients. A one-time fashion consultant and stylist, Usman admits he still enjoys the fashion industry, and is big on health and fitness and playing sports. Usman is a member in good standing with the Law Society of Upper Canada, The Advocates' Society, Peel Law Association. Usman also sits on the board of directors of several non-profit corporations. Languages spoken: English, Urdu, Punjabi and Hindi. Need help or advice? Contact Usman directly at Ubhatti@rzcdlaw.com or send RZCD a message.